I'm willing to bet everything in my meager Roth IRA that about as many people know that Alabama has a scenic shoreline on the Gulf Coast of Mexico as know how to spell "Kyrgyzstan" (which has to be one awesome play in Scrabble). Not only does Alabama have a coastline a few miles due east from the start of the Florida Panhandle, it happens to be 32 miles of as glorious a waterfront you'll find this side of mesmerizing St. Thomas in the Caribbean. We're talking wide expanses of dazzling sugar-white sand so soft and powdery, you'll want to lie on your back and create sand angels. Surprising is the word that comes to mind. The golf is surprising as well with the superb Kiva Dunes—a real honest-to-goodness links course played through sand drifts and hollows with roughs of sea grass as penal as Muirfield (the real one). 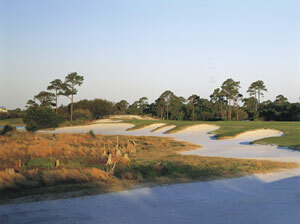 Designed by Bama's own Jerry Pate, Kiva Dunes gives ample proof that Mr. Pate has a fondness for Scottish-style golf, as he's built a layout where consideration must be paid to the wind gusts off the nearby Gulf before attempting your shot. Most of the dune-flanked green fronts are able to accept an old school "keep it out of the breeze" run up. One can imagine Old Tom Morris offering Pate a wee dram and a hearty "Well done, laddie!" The par-5 15th is flat-out worth the airfare from wherever you are to the Pensacola Airport, which is about 40 minutes away as the seagull flies. With the teeing ground slightly raised behind a grove of brush, you're just able to spy the flagstick fluttering on a dramatic hillock 540 yards straight ahead with cavernous steep bunkers surrounding the plateau in a sinister semi-circle. All the lurking trouble is in plain sight; all that's required is three perfect shots and the finesse of a cat burglar. The hole could be airlifted and dropped right onto Ballybunion or Dornoch and nobody would be the wiser. Mr. Pate, a U.S. Open winner at the Atlanta Athletic Club, obviously has more in his quiver than just a first-rate golf game. Here's my idea for you and your golfing pals. Forget your annual Myrtle Beach golf trip for one year, and give Gulf Shores a try, as there's more than the superb Kiva Dunes to scratch your golfing itch. There's a ton of golf within minutes of the beaches. 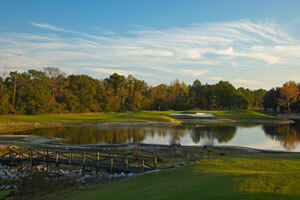 Craft Farms boasts 54 holes of first-rate golf built on 870 acres of old coastal wilderness. 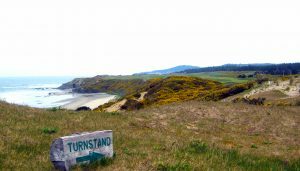 The land was formerly a gladiola nursery and then a sod farm—perfect ingredients to brew excellent golf. The Arnold Palmer-designed Cotton Creek championship 18 takes you through soft rolling hills, quiet lakes, with groves of pine, oak and cypress trees framing the pristine fairways. The tranquil surroundings are a magician's sleight of hand, as your score creeps higher and higher as Mr. Palmer's diabolical design continually teases you to cross water hazards that seem well within your capacities but aren't. This is death by a thousand cuts—you don't even know how bad you're bleeding until you're back sipping something cool in the roomy comfortable clubhouse. Throw away the scorecard, and enjoy the sweet Alabama air. Craft Farm's Cypress Bend, another Palmer layout, is a more forgiving 18 with fairways wider than a Disney World parking lot. That's not to say there isn't water and trouble on this Bay Hill clone, but Mr. Palmer has given you plenty of room for your hook or slice to do the voodoo that they do and still land in the short grass. The greens are slick and well-guarded, but you'll get within hollering distance of your handicap. 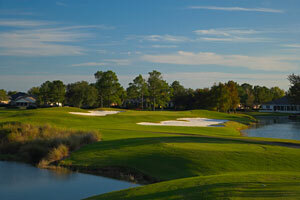 Lost Key Golf Club, just across the nearby Florida border, is as tight as Cypress Bend is wide. 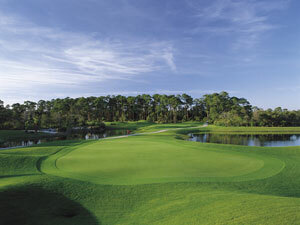 Lost Key was the first golf course in the world to be certified as an Audubon International Silver Signature Sanctuary. Most every hole is flanked by swampy bogs full of critters with no shoulders and giant waterfowl with beaks longer than most one-irons. My advice is to take plenty of golf balls and play Lost Key as your starter round. 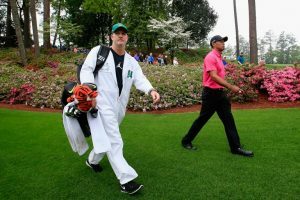 You'll get a taste of what a petri dish this section of the world is, and every other course in the area will seem as broad as the Grand Canyon. With nine courses in the immediate area, including the not-to-be-missed Peninsula Golf and Racquet Club, you can golf to your heart's content, but save plenty of time for the mesmerizing sunsets over the stunning beaches. If you can't lower your blood pressure on the Gulf Coast of Alabama, no amount of Lipitor is going to help. 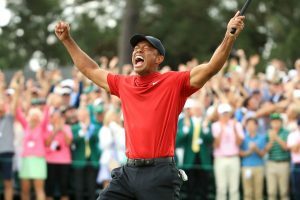 To make your Alabama golf journey even more stress free, contact the Gulf Shores Golf Association for their myriad of stay-and-play packages at www.golfgulfshores.com or (888) 815-1902. Beachfront accommodations run the gamut from hotel rooms to comfy beach houses big enough to hold a Walton Family Reunion. Myrtle Beach will still be there next year. I'm not sure about Kyrgyzstan.